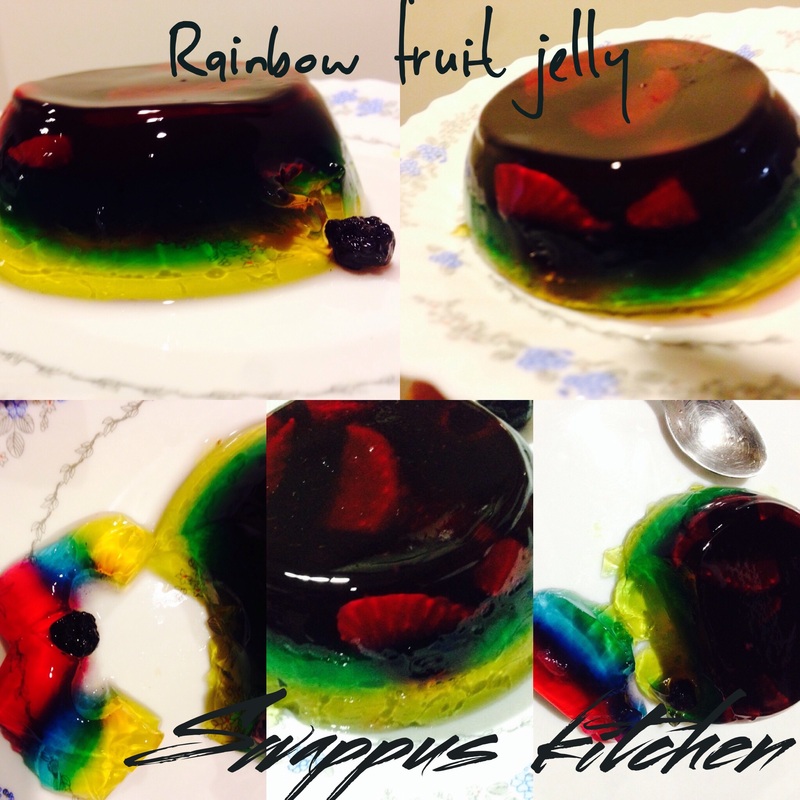 Its a very easy dessert, can make this for kids birthday party or rainbow themed party. ( prepare according to packet instructions) keep it in the fridge. Once jelly set in the fridge boil milk & cream together. Switch off the heat and add gelatine & sugar. Mix throughly until all the gelatine dissolve in the milk. Keep it aside to cool. While take out the jelly , cut into small pieces and put it in the desired shape container. Then add the cooled milk mix to the jelly and again put it back to the fridge to set the milk jelly mix. Once it’s done, take out from the fridge & cut it into the desired shape & serve it. Kids will love this colour full treat. Enjoy…..!